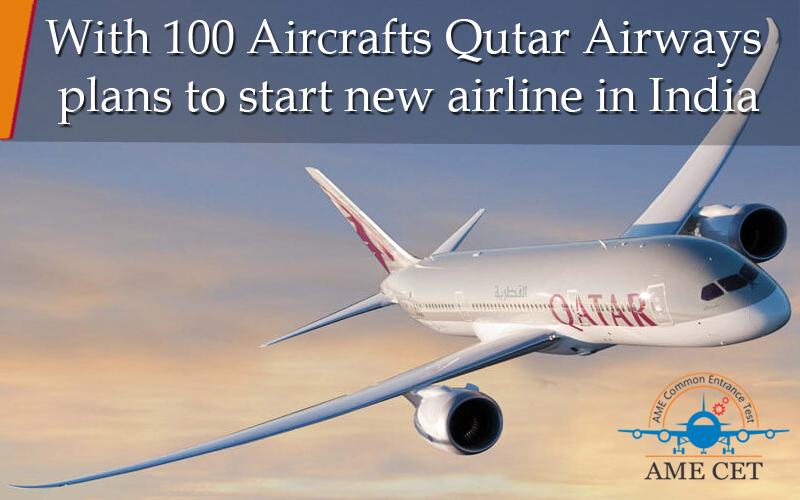 Qatar Airways has plans to launch an airline in India with at least 100 planes, the airline’s chief executive Akbar Al Baker said. Addressing a press meet in Toulouse, France, Baker did not disclose what kind of type aircraft would be deployed once it starts an airline in India. It was in March 2017 that Baker first mentioned about its plans for a carrier in India. A leading Gulf carrier, Qatar Airways has been exploring investment opportunities in India, one of the fastest growing in the world. Qutar Airways opens a new gate of opportunities for indian people. When they launch Airline in India they need licensed workers in various field. They need Aircraft Maintenance Engineer of mechanical trade as well as of avionics trade. Qutar Airways never compromise with quality of their service. They hire trained engineer in very good number to meet their need. Qutar airways not only provide good number of jobs to Indian students but also provide them a better platform to grew up and develop themselves. They provide good salaries to their workers. Last December, the airline had said it would like to add more flights to India in the future as the country is an economic superpower and an important destination for it. They know that India is the one of the best place to invest because the growth factor of Indian economy is very high as compared to others. India has permitted foreign investors, barring foreign airlines, to own up to 100 per cent stake in local carrier. India also give permission to Qutar Airways to invest in India. As per survey in India we requires more than 72,000 Aircraft Technicians and Maintenance Engineers in next few years, its more than number of seats provided by DGCA, Govt of India. So the placement of Aircraft Maintenance Engineers (AME) are very good. This is the perfect time to make your career as Aircraft Maintenance Engineers in aviation industry.